CONTROL returns to AVALON Hollywood with a electric house filled night with Angelz, Sevenn, Jeremiah Red, Marvin Jest, and Knoxx. Known for pushing electronic dance music to creative extremes, Angelz a DJ from Quebec began his career at the young age of 15. He began challenging conformity mixing house music and techno to create something completely unheard of. In 2011 his career lifted off with his track ‘Crummy Laptop” that put him in the spotlight. His latest single “Hey Girl” released from French house master; Tchami, became an instant tech house hit. Angelz sound is all about the vibes he gives off, which is why he fuses hip-hop and hypnotic house music to create new beats that gets the dance floor moving. Angelz is sure to showcase his talent of erupting the dance floors at AVALON on Friday. Hailing from Los Angeles, Sevenn is formed by a powerhouse duo who specializes in blending sounds of their own and creating something special. Manufacturing their own unique take on house music the duo has worked with big names such as Alok and Tiesto on their collab hit “Boom”. They continue to push extremes with their newest track “Beautiful Tonight”. Sevenn is certain to put on a show for those in attendance on Friday night. 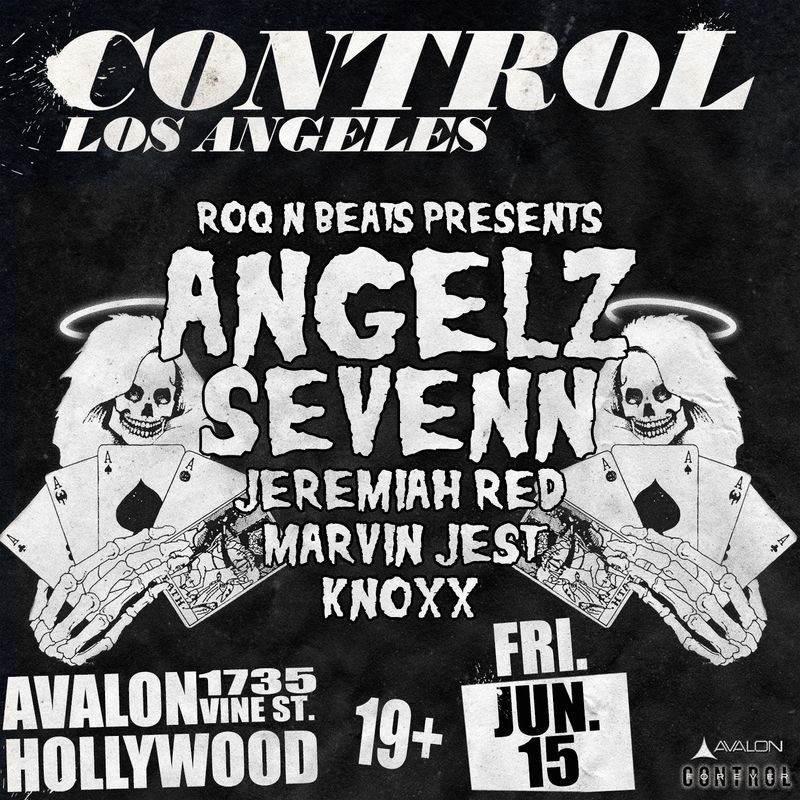 Make sure to grab your tickets for this unforgettable night with CONTROL at AVALON on Friday, June 15th with Angelz and Sevenn with support from Jeremiah Red, Marvin Jest, and Knoxx.